I went with the sequins design, and changed it to an all purple color scheme. Luckily they didn't charge me a customization fee! I also changed the name portion and got my name in all white instead of the multi-purple they show in the example. I wanted my name to really stand out, rather than blend into the dark background. I'm absolutely in LOVE with the designs and colors. 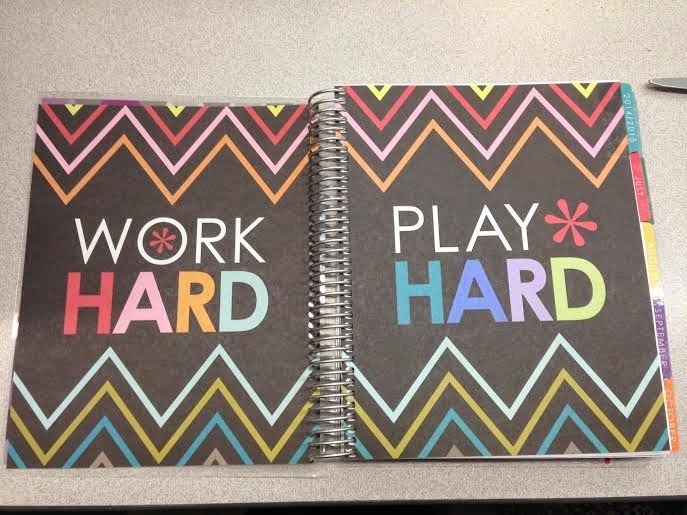 This planner beat my expectations. This pattern, in my opinion, allowed me to be creative yet it's okay for professional use (as I am a social worker). 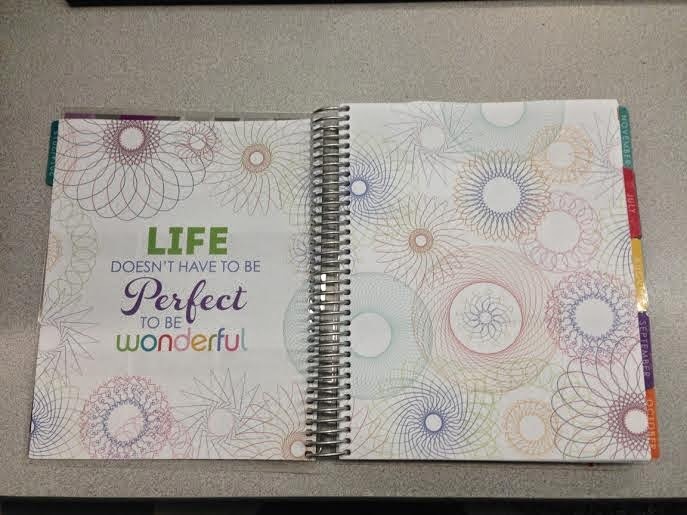 Another part that I love about Erin Condren Products is that throughout the whole planner, you'll find inspirational quotes and pages of prettiness. 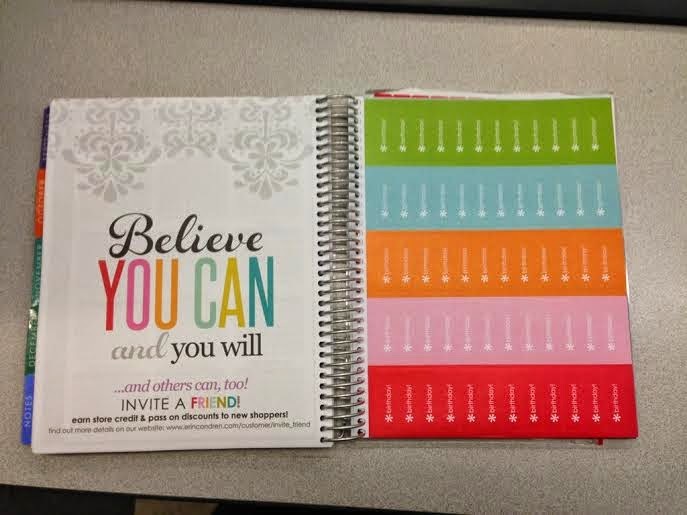 Here are a few examples of full size quotes in the front of the planner. Following the pretty pages, comes 2014/2015 year at a glance. I actually use that a lot more than I thought I would. I use it to track my menstrual cycle (TMI? ), when bills need to be paid, and birthdays. 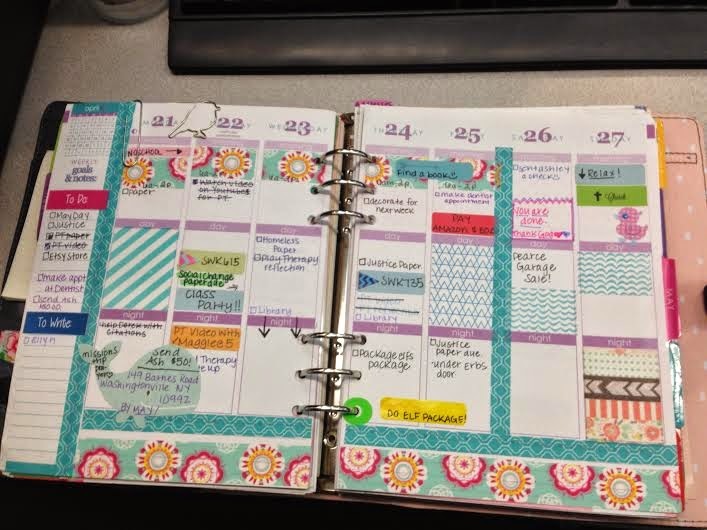 It's just convenient to have things circled and then move into the bigger calender. I haven't had a chance to color code it yet, but I can do another blog post on the later on. Next comes the monthly calender. 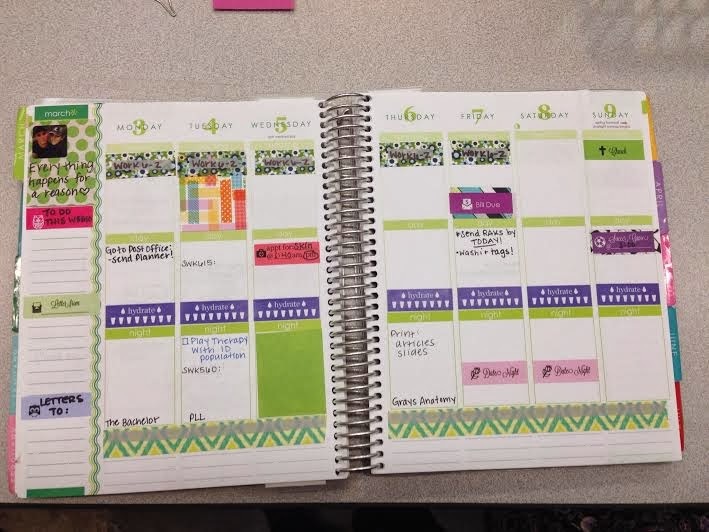 Each calender is color coded to an event in the month. Julys colors are red and blue, like the 4th of July. I try to have washi tape that matches her colors to block off the extra boxes (which are just the days from the previous and next month). Light Blue washi: Soccer games (both mine and my boyfriends). Purple- Little tid bits to remember. The weekly section is my go-to place. 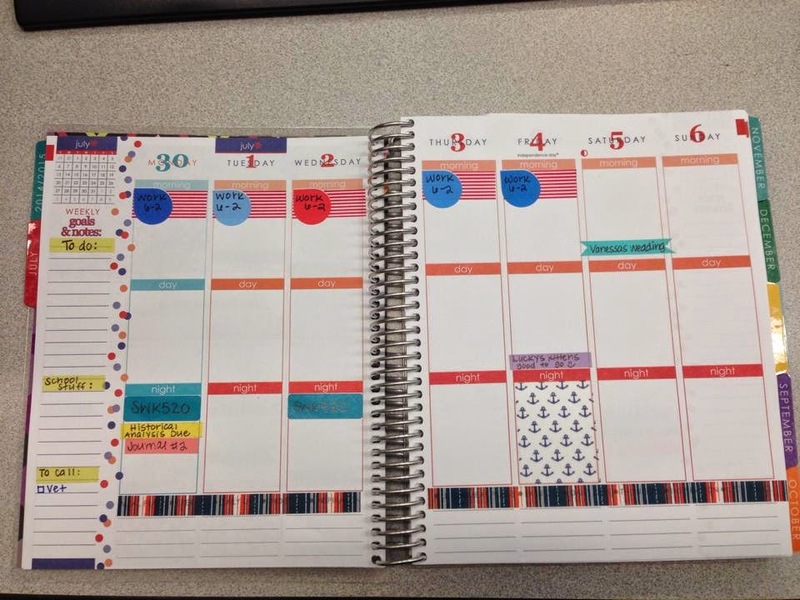 I track my work schedule using my tear drops from Karolina Krafts (I'll post the link at the bottom of the post). I just use regular washi tape to mark things such as when homework assignments are due, to make headlines for things to do (at home and school) and people to call. I also mark if there are events on the weekend. As the week goes on, I add stickers and washi to write what happened during the day. I don't journal in it, rather just make remarks if I do something. Like if I go to the back, I'll write Beach on a sticker and put it at the date that I did. 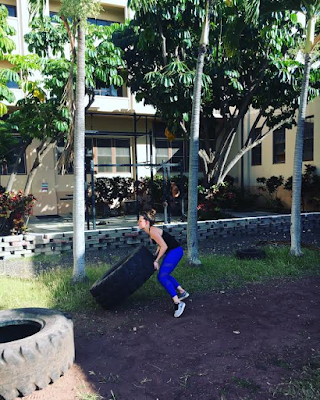 On the bottom lines of the page, I put my workouts and what days I do different fitness activities. I do not color coordinate. 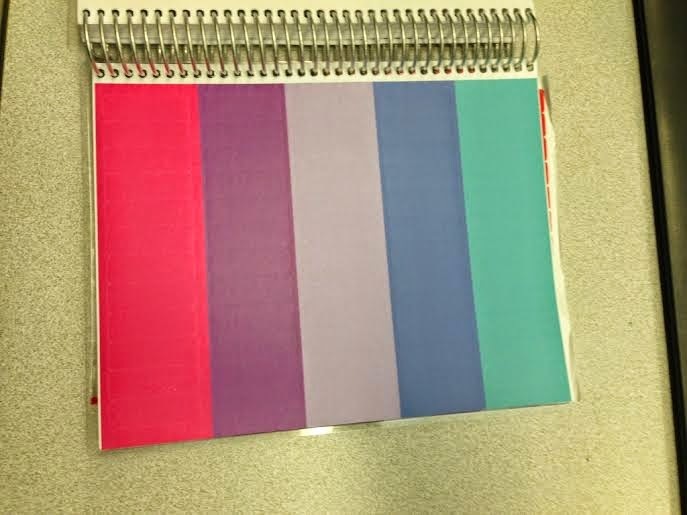 I just love all colors, but I will only write in my planner with a g2 bold. I am recently obsessed with them, and refuse to use anything else ;) Picky stationary nerd. Then comes some of my favorite parts: The pretty, colorful stickers. 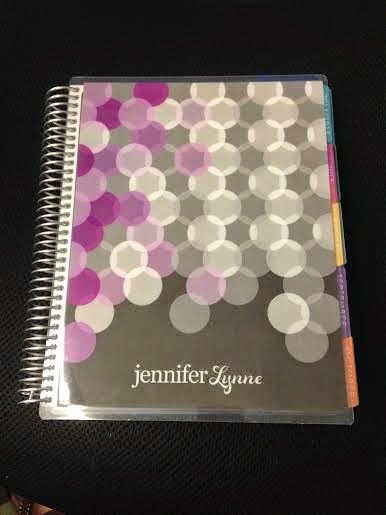 It comes with 2 pages of per-labeled stickers with things such as birthdays, appointments, vacations, day off, concerts, mani/pedis, etc. 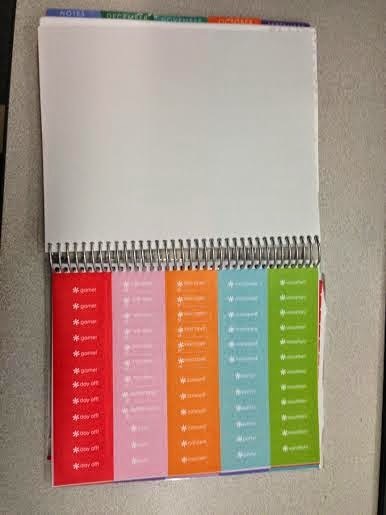 Then it comes with 2 pages of blank stickers that are now RE-POSITIONAL. She came up with new colors this year, and they are absolutely beautiful. I usually use a fine point sharpie to write on them that way it doesn't smear, and looks neat and organized. 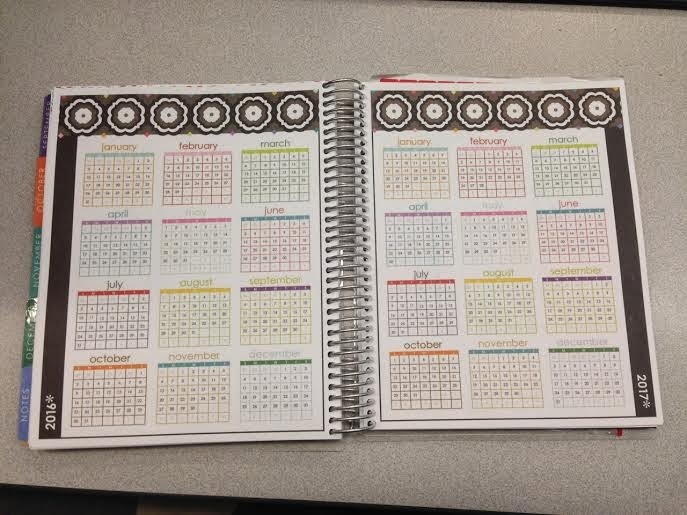 The Perpetual Calender and Contacts booklet. 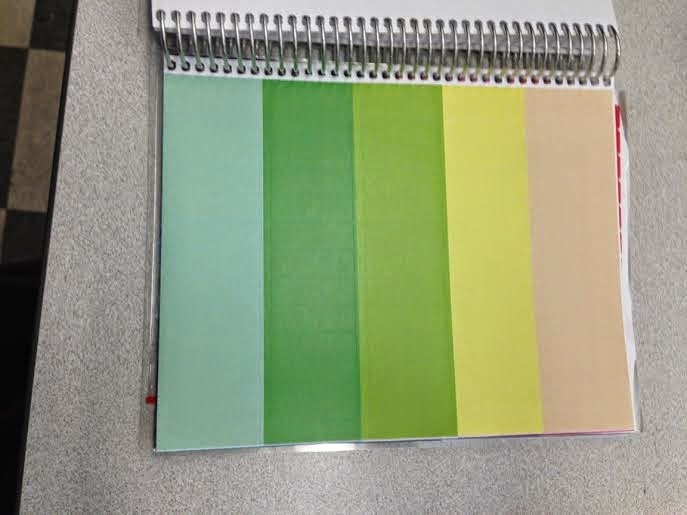 Last year this was included in the front of the planner, but now she made it into a seperate booklet so that every year you can just transfer this into your new planner without having to rewrite it every time. 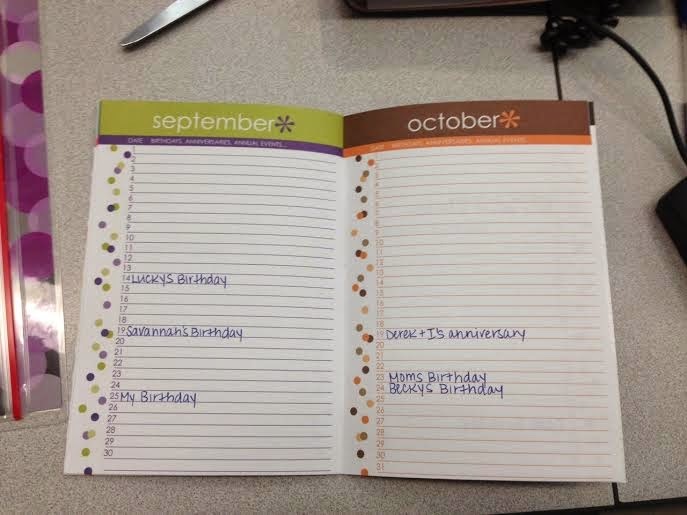 I think it's a pretty neat idea as I use this each month to plan out when to send cards & when I need to get gifts. 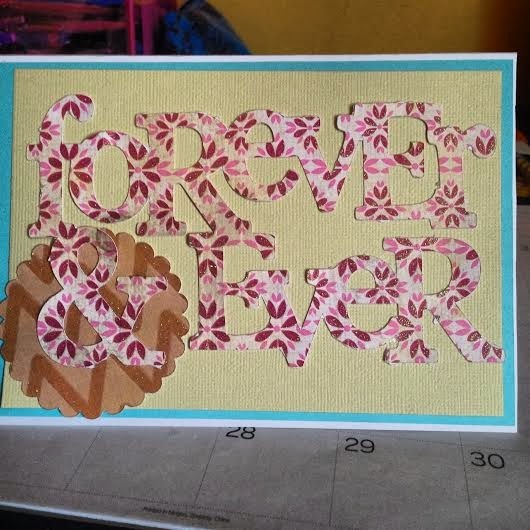 Some people like to re-purpose it into gratitude journals or use it for IG photo challenges, but I like it just as is! Well thank you for taking the time to read this post. My ECLP has been a blessing to me, and I use it almost everyday. Here is a link that you can use if you want to buy an ECLP, click the link & save $10 off your first purchase! And Here is the etsy link for the tear drop stickers! Obviously the name will be different! I opted to have my whole name in the white. This year she made it so that you could purchase different covers. This makes me excited! I already have my mind made up with what cover I'd like next. 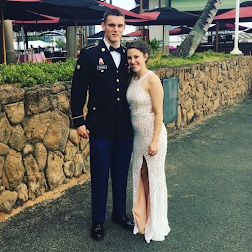 I think I'm going to do the Picture This and do a collage of my boyfriend and I's pictures along with my babies (cats & dog)! I couldn't decide if I wanted to do the 18 month (July 2014-December 2015) or the 12 month (January 2015-December 2015). I wanted to do the 12 month (if I could have picked the months of July 2014-July 2015) because it's much smaller and thinner than the 18, plus it would have worked with the school schedule I have. But unfortunately she didn't give the option this year to select the months that you wanted. So I ordered the 18 month, and am going to re purpose the last few months of weekly pages but keep the months for future planning. I'm so excited for this to come in and begin the journey of the new ECLP year. I'm also excited to see what she has coming out in the next months for the interchangeable covers..for example her Christmas themed ones! Cats, Planners, and All Lifes Good Things. I'm sorry I've taken so long to post again! But I've been so busy! 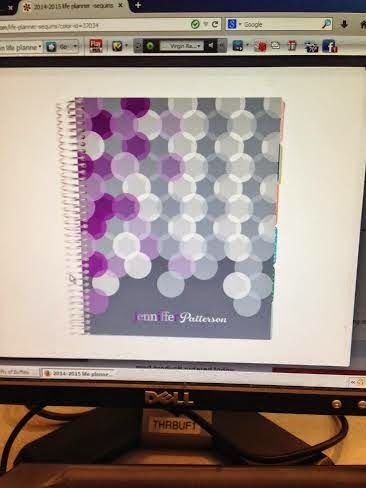 Although my Erin Condren is getting her full use, my blog has not. 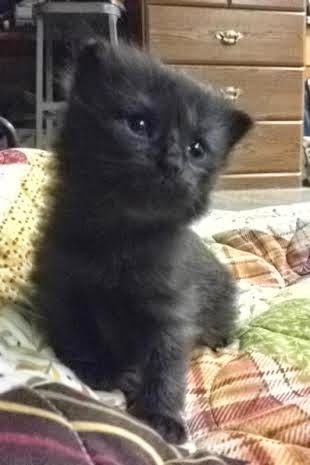 A little bit of whats going on: I've adopted a stray cat. She showed up on my porch sick, abused, and PREGNANT. She only has 1/2 her tail and is missing hair all over her body. With several doctor visits, medications, and baths...we have 3 healthy kitties and a healthy Momma. They are my blessings in disguise. I AM SO DISAPPOINTED WITH MY ECLP IN THE KIKKI.K!!! Although it looks absolutely beautiful....It's just not for me. 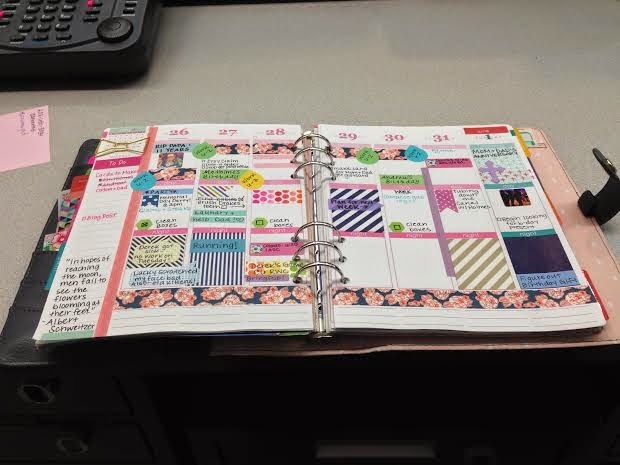 I cannot wait until June 12th so I can order my new 14-15 planner and leave it in the spiral bound. 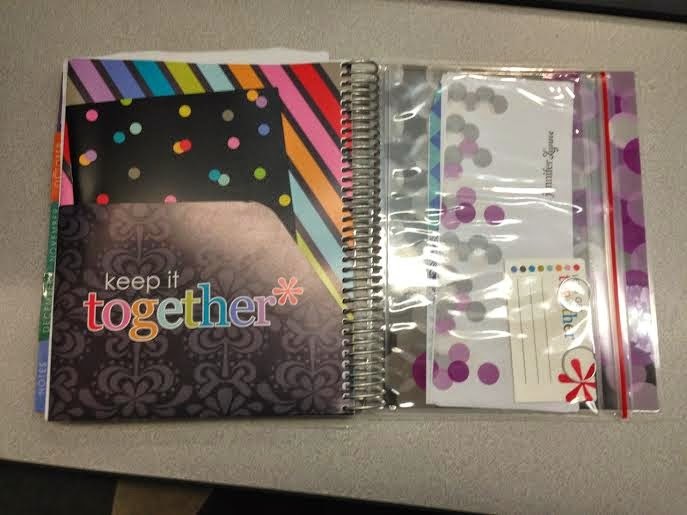 Although I love having all the extras, and the pretty paper samples, but with all of those things, I use less of the planner. 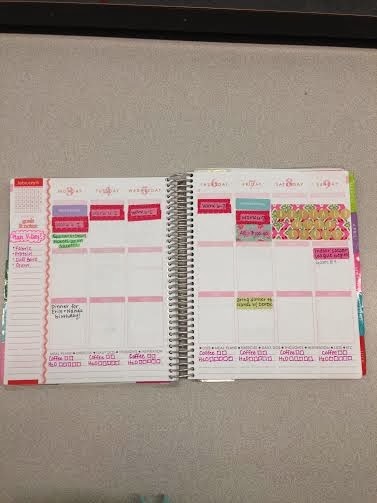 I want to get everything out of the planner as in using all of the note pages, etc. 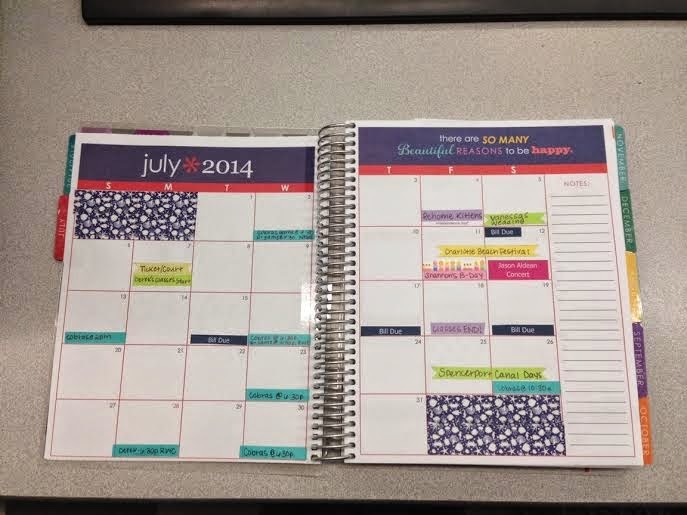 I love the planner in its original setting. I, so far, love all the changes! I love the idea of the interchangeable covers! For someone who likes change, I think being able to change colors will be a great thing. I just hope they are as sturdy as the permantent ones. 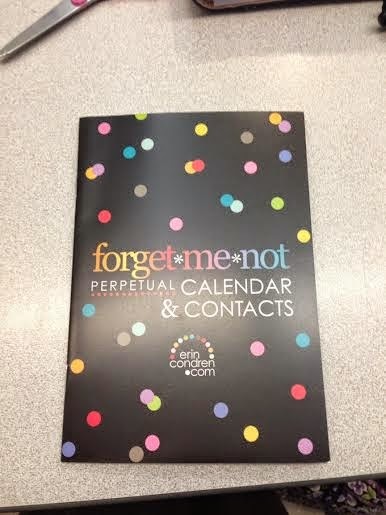 I also love the idea of the perpetual calander and contacts booklet. If you haven't had a chance to see all the new changes, I'll attach her link below of them all! Hello, everyone! I'm sorry I wasn't able to get this done at the beginning of Febuary, but I have my weekends off so I usually spend them with Derek (my wonderful boyfriend)! So I am now getting a chance to catch up on my planning life and updating the blog. 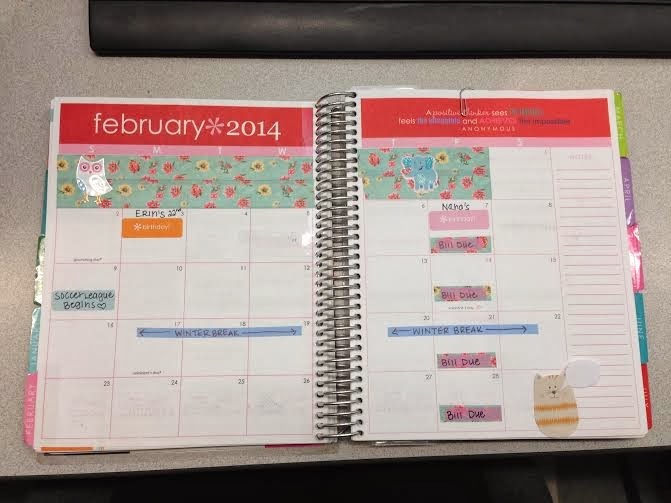 This post is going to be all about how I organize my monthly spread. The month section is just as important to me as the weekly. I use it to monitor things like when bills needed to be paid, birthdays, no school days, or other important events. This is usually the first place I go when I'm making plans with someone. By this, I will be able to determine when I have time free and whether or not I have another event planned that day. I usually put in my work schedule but I haven't gotten that far yet. 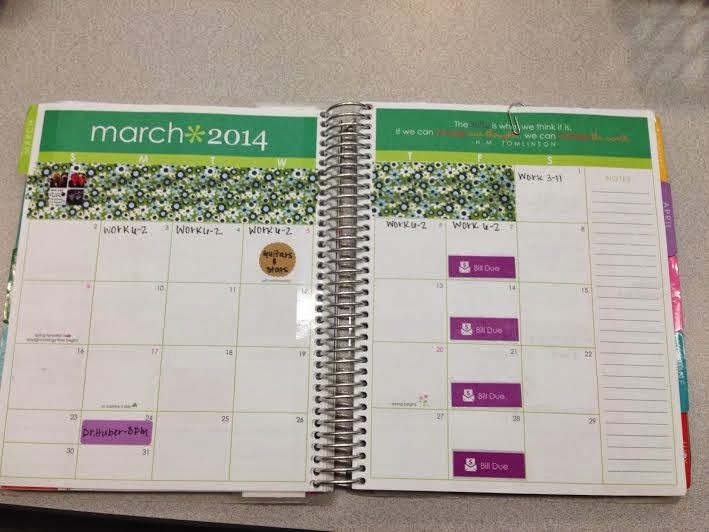 What I love about the EC planner, is that the monthly spreads are large enough to put a lot of imformation on. I love the two page layout!!!! 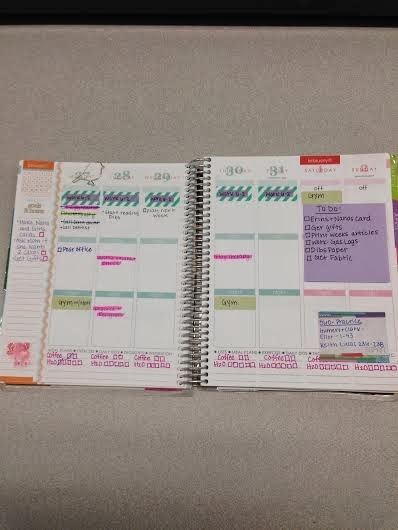 I love that the EC planner carries over the last few days of the last month: not that I use them though ;) . That's where you'll find my washi tape. 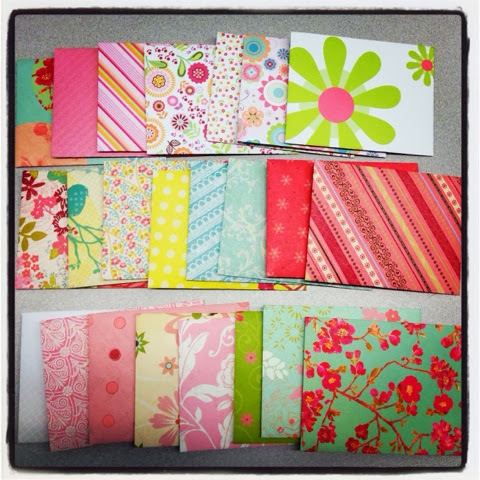 I like that I am able to put my own touch to each month, and put a color or pattern that I know will make me happy. This month I choose a blue vintage floral print I got from Michaels (I'm sorry I don't remember the name :/). I also carry that washi over to mark when bills are due! When the month is over, this section looks like a complete mess. I cross things out, write tons of things down, and mark when the day is over by a big X. This helps me feel a sense of accomplishment.